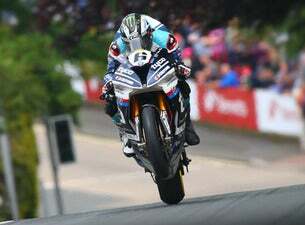 The Isle of Man TT is the ultimate 'must see' event for motorsport fans across the globe. From a guaranteed seat in one of the Official Grandstands, in prime locations around the course, selected as the best viewing points for the spectacular qualifying and race action, through to the ultimate experience of a VIP or Platinum VIP Hospitality Experience, giving you unrivalled access to all of the best on track action, as well as the comfort of five star trackside hospitality. Official Event and Experience Tickets are the ultimate way to enjoy the best of the two week festival. The Official Grandstands each offer their own unique insight into the 37 ¾ mile circuit; you can enjoy the thrilling action only feet away from the course complete with local hospitality of one of the Island’s most iconic pubs –the Creg Ny Baa or alternatively view the decisive moments of every race from the Noble's Park and the main TT Grandstand at the heart of the paddock. Or you can create your own five-star experience with a VIP Hospitality Experience, available for each of the four race days as well as the final two qualifying sessions, which includes access to the TT VIP Club as well as a trackside ticket for your own exclusive grandstand. Enjoy catering throughout the day as well as an intimate Q&A session from the riders that have finished on the podium. You can also upgrade to the ultimate experience with a Platinum VIP Hospitality Experience, which includes a closed road course car lap between races for your own ‘track inspection’ experience as well as the super exclusive ‘grid access’ pass. And while the racing may stop for the day when the sun goes down, the festival continues with live entertainment experiences. Look out between now and June 2019 for announcements of live music and comedy to round off your annual ‘bucket list’ trip.